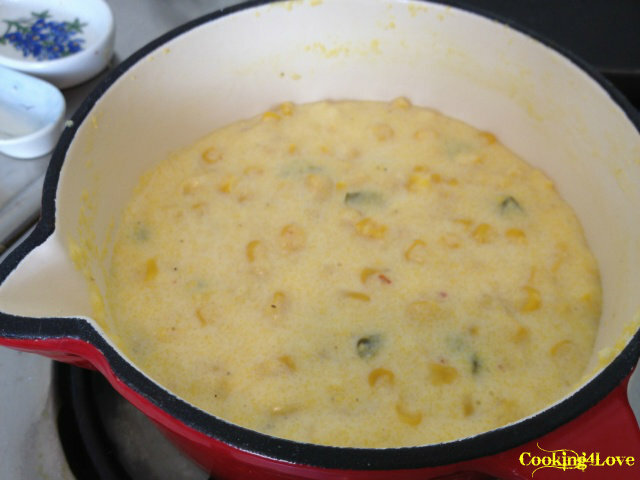 Surprisingly, I had never tried corn pudding until recently, and am a little sad it took me so many years to discover it. 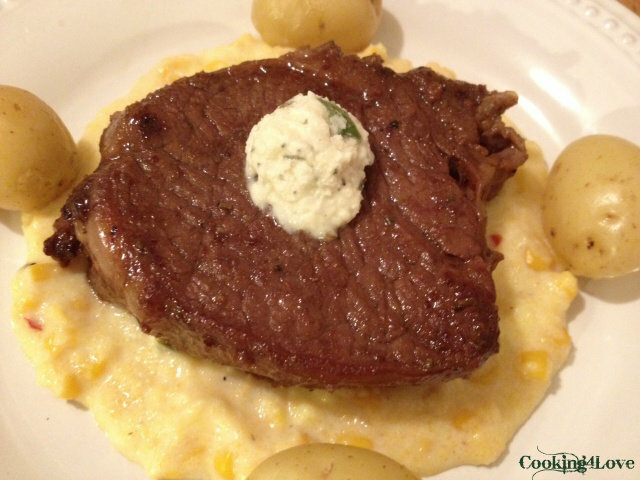 Most of the recipes I found were baked dishes, which I may try at some point, but I wanted something with more of a creamy consistency like I had in July and that was prepared on the stove top. I came across one from McCormick & Schmick’s, which was served with King Salmon and sautéed spinach, and since my first experience with corn pudding was paired with salmon also, I knew this was the one I wanted to make. I adjusted the recipe (and preparation) a bit, and am so pleased with how it turned out. If you’re a fan of corn, then you’ll surely love this. In a medium sauce pan over medium heat, melt butter. Add drained corn and sugar. Cook for approximately 10 minutes, stirring occasionally to avoid burning. 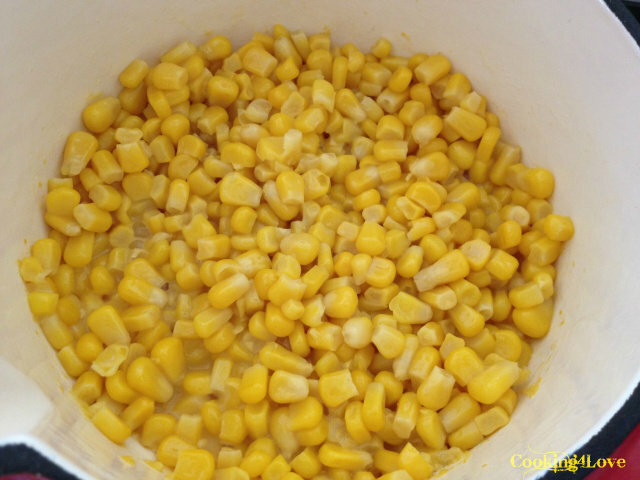 Remove corn from pan & place into a bowl, set aside. Using same pan, add milk and slowly whisk in cornmeal. Add the cooked corn, jalapeños, and red peppers. Bring to a boil to thicken, while continuing to stir. Once thickened to desired consistency, remove from heat and add salt. Serve immediately with your favorite dish. This entry was posted in Recipes, Side Dishes, Vegetarian and tagged corn, cornmeal, jalapeño, milk, pudding. Bookmark the permalink.